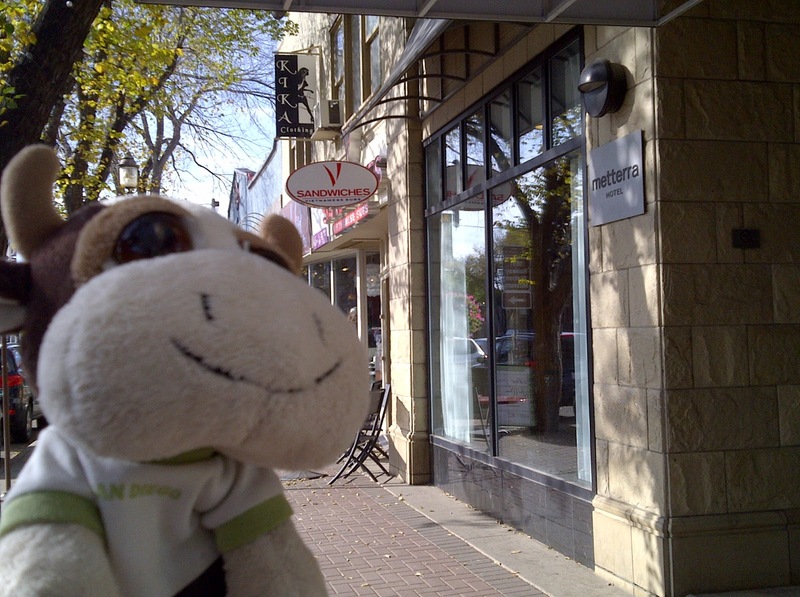 I had been hearing about V Sandwiches on Twitter for quite some time before I'd actually managed to visit their location on Whyte Avenue. Although the space looks small from the outside, it actually has an ample amount of seating inside. Their focus is on Vietnamese submarine sandwiches and their menu has both classic Vietnamese sub flavours as well as Asian inspired, all of which come stuffed with cilantro, onions, cucumbers, lettuce and pickled carrots. We opted to try both the Sate Chicken and the Grilled Pork sub, along with a Vietnamese Iced Coffee. The iced coffee was pretty good, although I would suggest that they look into providing some sort of liquid sweetener for those who like their coffee with a bit more sweetness like I do. The submarine buns were nice and crispy, providing a solid base and contrasting texture for the sandwiches. The grilled pork was flavourful and nicely balanced by the tang of the pickled carrots. The sate chicken was my favourite, filled with juicy, soft spicy chicken, balanced out by refreshingly bright and crunchy onions and carrots. I'll definitely be returning to work my way through their menu. I love V's sandwiches. Another good sandwich joint just down the road on Whyte is Nhon Hoa. I actually think their subs are marginally better! I think that the convenience of where V Sandiches are placed is important as well. I loved the sandwich I had there, but I did wish they had a hot drink option, as it was bitterly cold that day, and I would have loved a hot coffee along with my sub. A Macaron Making We Go with Taste Tripping!